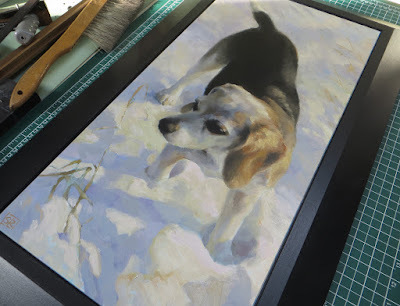 I said goodbye this week to two paintings commissioned by a family to pay homage to some of the dogs they have generously rescued over the years. Dogs who have the good fortune to be adopted by this remarkable family will spend the rest of their days in a bucolic setting in the company of other dogs, ponies, and cats with mown meadow paths and snowy fields to meander and warm beds to sleep in. Lucky dogs! 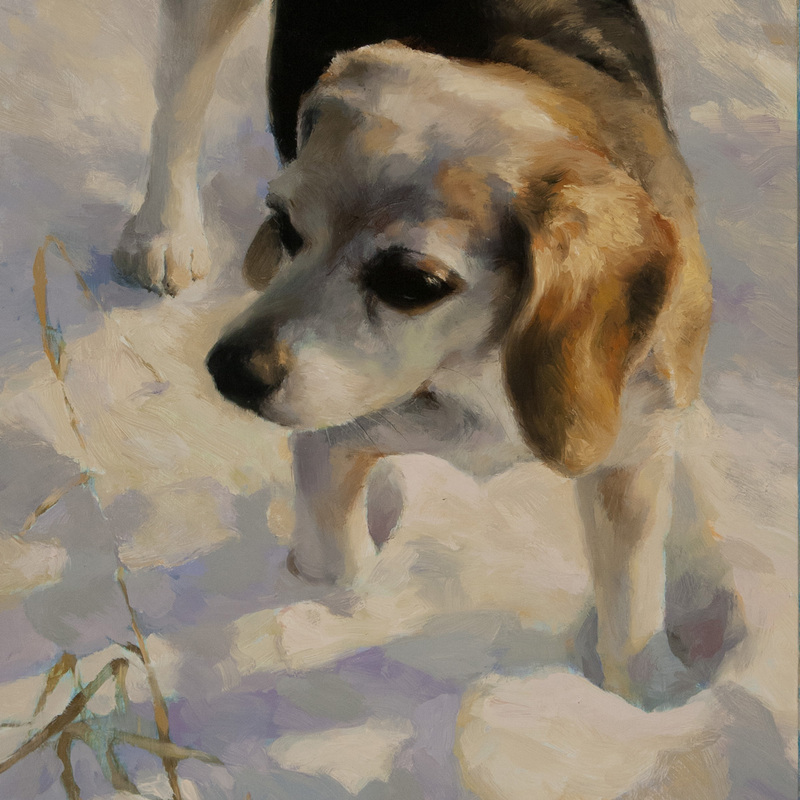 These paintings were commissioned and painted from supplied photos taken in winter with the cool snow offering a great foil to the dogs' warm colouring. 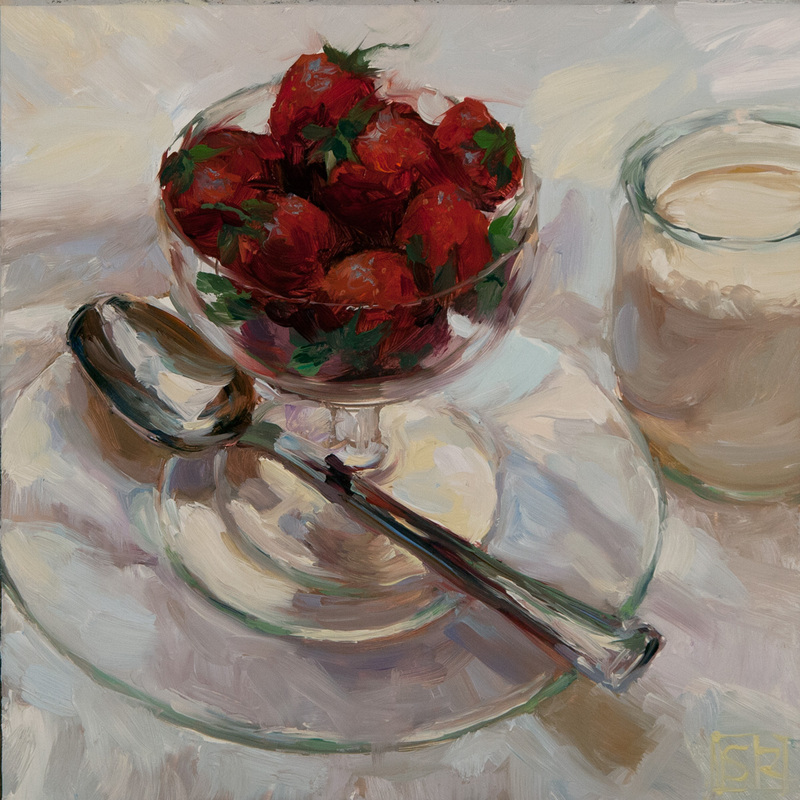 Beagle in Snow (detail), oil on panel 12" x 24"
In honour of the big birthday party, I decided to paint a composition in red and white with the last of the season's strawberries. These were painted from life in the studio in a single session today (technically yesterday). 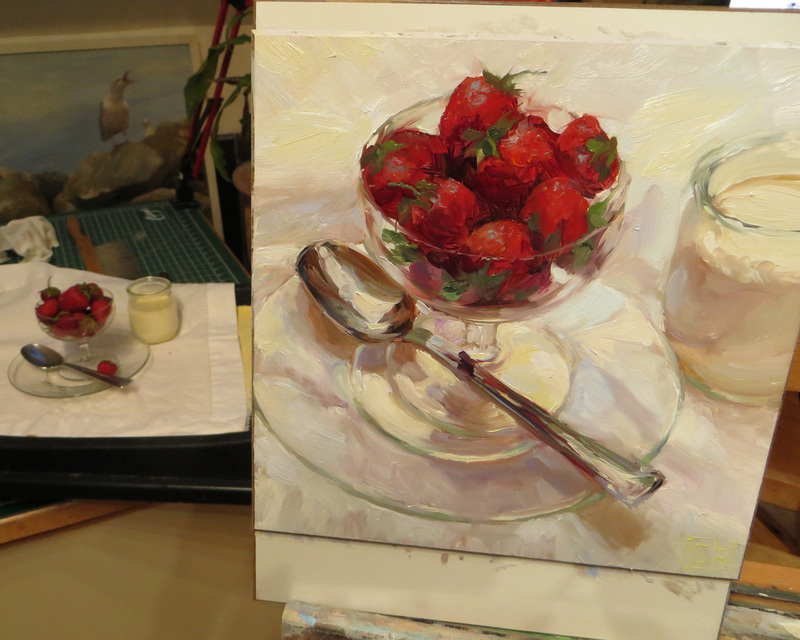 It was a struggle not to eat my berry models while I painted. Last of the Summer Strawberries, oil on panel, 8" x 8"
Sadly, the berries have now been eaten, every one.